Stephanie Heintzeler is a German educated midwife and acupuncturist as well as US-educated doula and Lactation Consultant (IBCLC). She was born in New York City but raised in Germany, where she found her enthusiasm for midwifery already when she was 12 years old- thanks to her brother who was born then. She successfully finished her midwifery-exam in 2000 at the midwifery-school in the Black Forest of Germany. 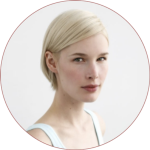 While she was working in Frankfurt she started to get interested in TCM (Traditional Chinese Medicine) so she continued her education in Acupuncture and acquired her certification in 2003. She moved back to her birth town in 2003. 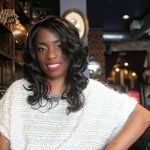 Her book “New Yorker Geschichten” (“New York Stories”) got published and she started her own Doula business after she had certified with DONA in 2006. In 2010 she founded Preggie LLC in Germany that imports Preggie Pops (www.preggiepops.de) from the US. Stephanie cares for women with all kinds of births- whether her clients choose a hospital birth, birthing center or home birth; she wants them to follow their own intuition about which birth place feels best. Stephanie has seen it all- breech births, many successful VBACs (Vaginal Birth after Cesarean), planned and unplanned c-sections, vaginal twin births and LGBTQ-families. With a former midwife-approach her clients feel taken care of from a holistic-medical perspective. She uses breathing techniques and positions to open the pelvis as well as her acupuncture background to make birthing as comfortable as possible. As of 2018 Stephanie has delivered over 2,500 babies and attended over 3,000 births. She is the owner of the New York Baby where she puts expecting parents/mothers in touch with doulas and baby nurses. As a Registered Midwife in the UK I have cared for women throughout pregnancy, childbirth and the postpartum period for over 9 years. I always felt lucky to be part of such a profound phase in a woman’s life and supporting women and their families during this time was an incredible honor. I feel increasingly that in countries where pregnancy and birth has become primarily doctor led and interventionist, women can feel they need to fight to make informed choices about their body (and their baby). As a Doula, I am very excited that I can concentrate solely on empowering women and their partners to find the right information to make these decisions in order to feel in control. My role is to help you and your partner stay relaxed and focused, ensuring you feel empowered and free to concentrate on birthing your baby. My number one goal is for my clients to feel that their baby’s birth was their victory. I believe the way to achieve that is for her to feel calm, confident, and completely in charge of the decision making process. If all women could feel proud of their birth story and strong and powerful as a result, their mental health and enjoyment of parenthood would benefit significantly. I am committed to helping my clients to achieve this. I have cared for women birthing their babies at home, in birth centers and in hospital settings. I have looked after women birthing breech babies and twins naturally as well as those choosing to birth their babies naturally following a previous Caesarean section (VBAC). I have cared for women undergoing both planned and unplanned Caesarean section as well as supporting LGBTQ+ women, single mothers and those with little or no support. 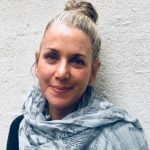 Using measures such as Rebozo, massage and pressure point techniques as well as supporting hypnobirthing, homeopathy and aromatherapy, I will help you to feel calm, present and free to follow your body’s natural birthing instinct. I am down to earth, calm, compassionate and loving with a good sense of fun. I love adventure and spontaneity and thrive off a challenge. I live in Brooklyn with my husband and two daughters aged 5 and 2. I am having a wonderful time exploring New York having moved here from London in May 2017. Emilie became interested in birth work prior to giving birth to her daughter in 2011. She hired a doula for her birth as she had no family in NY and just felt she wanted to have a woman support her birth along with her husband. She had what she would describe as fantastic birth that was truly empowering. She then had another baby two years later. For some reason she decided she didn’t need to hire a doula for that birth. While she was in labor she realized that was a misstep. Everything went well and she once again had a fantastic and fast birth, but she just knows it would have been great to once again have that extra support her doula provided her. Since going through pregnancy, birth and new motherhood Emilie has become a birth addict. She marvels “How amazing are we women who grow humans in our bodies and bring them into the world through birth! ?” Her hope is that she can provide the kind of loving support to mothers that her doula provided her. It really makes for a great entry into motherhood. 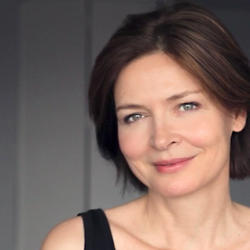 In Emilie’s free time she enjoys baking, knitting, going to yoga and training at the gym. She lives in New York City with her two children, husband, a dog and two rabbits. Emilie is a Dona trained birth doula. She holds current certification in Adult and Pediatric CPR/AED. She is a certified and registered yoga instructor through Yoga Alliance at the 500hr level. She has also trained in Thai yoga body work. Erin is a DONA trained doula. She holds a current certification in Adult and Pediatric CPR/ AED from the American Red Cross. Although originally from Sun Valley, Idaho, she has resided in NYC for 13 years, working in the fashion and entertainment industry. Her work experience has helped her to develop the skills necessary to work intimately with new clients as well as to communicate needs and desires effectively. Erin became interested in birth work after learning about the status of women globally and domestically, in particular among minorities. Doulas have been shown to be effective tools in lowering unfavorable birth outcomes and she knew she just had to be a part of that. 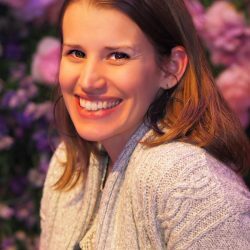 Erin believes that birth is an amazing process and that you deserve to have the best birth possible.She supports all types of birth and families and aims to help mothers experience an amazing birth day! Beyond her work as a doula, Erin is an avid yogi and fitness enthusiast. She also enjoys knitting, baking and travel. She lives in NYC with her husband and their two loving cats. Simone serves each family, believing that each should have access to support, resources and autonomy, in NYC where many are distant from their families and dear friends. 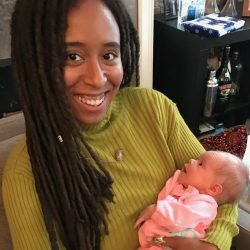 After the positive natural birth experience of her daughter, with her doula and partner by her side, Simone wanted to channel her energy in a new direction by becoming a certified birth and postpartum doula. Simone also takes from her own birthing and postpartum journey to fuel her passion through the 4th trimester. 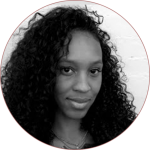 Simone is a certified lactation counselor working in her IBCLC, doula educator/ mentor for her certifying doula organization Doula Trainings International and Lamaze certified childbirth educator. Simone also holds a certification as an infant sleep educator to normalize newborn behaviors and gentle parenting through what can be seen as challenging times in babies development. 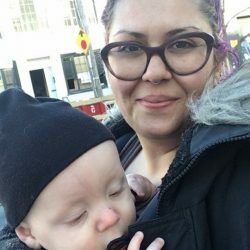 She is involved in many community parenting support groups by being a La Leche League Leader and Hospitality chair of Mocha Moms, Brooklyn chapter and is ready to hold hands with those on this journey, no matter how many times you’ve walked the path before, or not. After her 2nd was born at home with a supportive birth team, Simone further realized how important a trusted, skilled care provider and support team was and made a difference. Simone struggled with breastfeeding for the first 2 weeks, which was a drastically different experience from with her first. Despite feeling discouraged at times, she called on her community for support and advice. Simone realized before how birth preferences can be different, however through her own experience realized how each journey can be different too, as is each family. 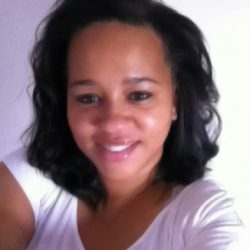 Simone respects and honors this and brings forth education and non-judgmental care to the families which she serves. 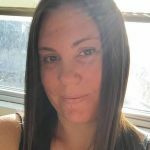 Simone is CPR and First Aid certified and is always attending workshops and conferences continuously to strengthen her knowledge, further her education and support her families to the best of her ability. Simone has worked with families in different scopes from being an employee of the Women, Infant and Children Program(WIC) program as a breastfeeding peer counselor, where their goal is to increase nutritional and breastfeeding awareness in communities, to working with families of the foster care system, shelters, of the LGBTQ community, with special needs, premature births and parents of multiples. Simone has a BA in psychology, is a birth doula with the Brooklyn Department of Health By My Side Doula Support Program and looks to continue her education to further nurturing families and bridge the gap between her community work and passion for social justice and advocacy. Simone is a Brooklyn based mom and when not supporting families, she’s building memories with her own. Kyra sees it as utmost importance to creating a comfortable welcoming environment whether the birth takes place in a hospital, birthing center or at home. She supports women throughout all boroughs. Kyra holds a Bachelor of Science degree from The Fashion Institute of Technology and she also studied International Business Management at the University of Vienna. She speaks English, German and Spanish fluently and has some knowledge of French. Kyra is currently enrolled at SUNY Downstate Medical Center to becoming a midwife. She is expected to graduate with a MS in 2019. This strong, wise woman taught Jolande everything: how to bathe and hold her baby; how to care for the umbilical cord; and, most importantly, how to nurse her baby. If she needed to take a shower or a nap, or just needed a good cry, she was always there to comfort her. She also made her coffee and tea, whipped up steaming pots of soup, and prepared tasty snacks that gave her the energy to breast feed 10 times a day. Amazing, right? Actually, the amazing thing is that the Dutch government understands how difficult the first few weeks of motherhood are. That is why they make sure that every new mother receives both the practical and emotional support that a kraamverzorgster provides during this stressful period. As a postpartum doula, that is the service that Jolande provides in NYC. Lucky us! She is the special caregiver who knows how to “mother the mother.” Jolande is a certified lactation counselor, a DONA-trained postpartum doula, CPR certified, and an accomplished cook. She is honored to help any new mother though the exciting but emotionally draining first few weeks of postpartum life. Remember: The best thing you can do for your baby is to take good care of yourself. 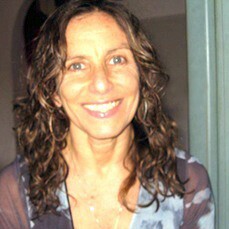 Alexandra is a DONA trained birth doula and certified yoga instructor. Her passion is to serve as a guide for women during the most sacred time of their lives, she believes in empowering women and feels every mother is a champion. Alexandra’s traveled the world extensively and lived in Miami, New York, Haiti and Mozambique. 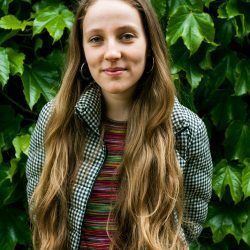 She studied traditional Mayan birthing techniques in the mountains of Guatemala while assisting an indigenous midwife there. Alexandra then studied midwifery and assisted in over 300 births at a natural birthing center and school in Miami, Florida. Alexandra wants the mothers she works with to feel free to explore their own natural instincts and tap into the innate feminine powers possessed by all women and used for countless generations all over the globe. My path as doula began in 2009 before I even knew what a doula was, while I was pregnant with my son. I was not aware that I could make decisions along the way when it came to the mode and method of birthing — decisions that are so powerful and important for the hours, days, weeks, and even years after we give birth. After deep studying and being immersed in birthing resources I became aware there were indeed many different options on every woman’s birth path and we all, as women, have some power we can choose to exercise. After I gave birth I was eager to share my experiences and wanted to start supporting others through their pregnancies and after births. I wanted woman to feel more control of their own birth paths and the time that follows. l decided to make it official by becoming a certified doula with DTI after attending numerous births and helping many women through their pregnancies. I am super passionate about birth and empowering women to have their best, most bonding birthing moments. I pride myself on being kind and gentle but also firm when needed, and bring a vast array of resources (traditional and non traditional) to the table for any woman looking for something extra — whether it be help through morning sickness, back pain, emotional stress, or just about any other pregnancy and birthing related concern. I’ve now dedicated my life’s work to helping other growing families choose the happiest and healthiest birthing paths for them — and that includes all styles and modes, because each family is different. Making you feel safe and comfortable is my top priority, and I would love to be a part of the most special experience you’ll ever have! lactation counselor and would love to get breastfeeding off to a good start if you plan on nursing. As a postpartum doula her focus is on the family. She wants to help you feel confident and comfortable with your life as a new family. Her service can include emotional and physical support, breastfeeding support; assisting with baby wearing and household help. What ever needs to be done to help create and keep a house running calmly. She believes being a doula is amazing and wants to help you to take care of your newborn or birth your baby surrounded by love and support. My name is Nadine Kennedy, I have 17 years experience in newborn, infant and childcare. My goal is to offer a service that specifically meets the needs of my new mom. I aim to pass on my extensive knowledge in newborn/infant care to help equip, and provide you with all the tools and tips you need to be a confident and thriving new mom.I am of a calm and gentle demeanor, with patience to learn and a passion to help educate and support new moms. My strong organizational, listening, interpersonal and communication skills, enables me to perform confidently and efficiently at anything I do.I specialize in all the necessary and accepted practices in newborn care including but not limited to infant CPR, Post Partum and lactation support. I have extensive training and experience with singles, twins and triplets, competent in skin-to-skin, breastfeeding, mother-baby bonding, basic sleep training and care for your precious baby.My duties include coming to your home on a daily basis during the first weeks to months of your baby’s life to assist you in caring for your most precious bundle of joy. The position of a Newborn Care Specialist is a temporary assignment that can require a 24 hour shift or night time shift. The length of the assignment is solely within the parents’ discretion. An assignment typically ranges between a 6 – 12 week period, with a longer duration for premature babies and special needs infants. 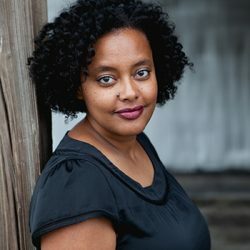 Bilen Berhanu is a DONA certified birth doula, Certified Lactation Counselor and Hypno Birthing Practitioner. Bilen is also a Doula Project trained full spectrum doula. Since training with Debra Pascali-Bonaro in 2011, Bilen has been working with many individuals and families throughout New York City. Currently, Bilen is in the processing of re-certifying with DTI. practice is centered on reclaiming agency by providing pathways to empowered reproductive choices and experiences. Bilen’s primary role is to offer physical, emotional and informational support in the process of crafting the reproductive experience, as defined by the individual or family. Bilen strives to provide nonjudgmental and culturally appropriate services across the choice spectrum. Bilen aims to be a resource by providing current, evidence-based and relevant information so clients can make well-informed decisions. Bilen offers up referrals to her network of care providers/practitioners and is deeply committed to offering culturally competent and LGBTQIAA+ affirming care. Bilen continues to develop skills that will transform the current health care system and is truly honored to participate in this work. Bilen hold a BA in Environmental Studies from Mount Holyoke College and an MA in Social Science from Humboldt State University. 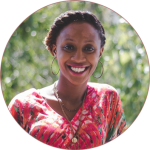 A San Francisco native, Gayle is a mother, writer, teacher, doula and passionate childbirth educator and advocate. For 18 years she has served mothers, partners and babies as both a labor support doula and postpartum guide. In 2005 she created Shakti Ma in Maplewood NJ, where for seven years she directed the pre and postnatal yoga and childbirth education programs. She is a graduate of Integral Yoga Institute and received her advanced pregnancy yoga certification from Gurmukh at Golden Bridge, NYC. She completed her most recent prenatal yoga training in 2016 with Krissy Shields of Maha Mama, and her advanced doula training with Debra Pascali-Bonaro. She is also a certified lactation consultant. As a labor support Doula, Gayle provides mother, partner and baby with emotional, physical and informational support. This includes creating a birth plan based on your unique preferences, and guiding you with effective labor positions and comfort measures, along with offering continuous encouragement and reassurance. She will advocate for you and help you find your voice to advocate for yourselves and your baby. During labor, Gayle assists mother and partner in establishing a harmonious birth environment at home and/or in the hospital/birth center, and provides initial breastfeeding guidance immediately following the birth. Additionally, she offers referrals to other birth professionals such as prenatal massage therapists and lactation consultants, as needed. Gayle believe that birthing women, with support and encouragement, know how to give birth. As a doula, she provides knowledgeable, nurturing, nonjudgmental support. Gayle recently moved back to NYC with her husband and two adventurous teenagers and is thrilled to be rooted once again in the beautiful borough of Brooklyn. As a Birth and Postpartum Doula she’s been honored to serve many families in New York City from varying backgrounds and household incomes. She honed her skills at the renowned Doula Trainings International and is also certified in infant and child CPR, as a Breastfeeding Counselor, as well as Mental Health First Aid. 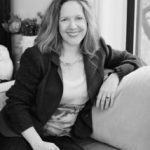 Her 15 years of experience running her own wellness company –where she worked as a Life Coach and Mentor– gives her a unique ability to care for her clients on a deeply personal level. She has a passion for cultivating empowered mothers and healthy babies through education, compassion, and nurturing. There is no right or wrong way to give birth. My highest priority as a birth doula is to help you have a positive and satisfying birth experience as you define it. I strive to help create a birthing experience in which you feel safe, in control, respected, well supported and cared for, and which leaves you feeling confident in your abilities. I believe the importance of the confidence a mother can gain from a positive birth experience cannot be overestimated, because even though parenting a newborn is one of the most joyful experiences a woman will ever go through, most veteran mothers express that it is also one of the most challenging. A happy, well supported, and empowered mother enhances mother-baby bonding and provides an enduring foundation for a happy and healthy family. A mother will remember her birth experiences acutely for the rest of her life; I hope to help ensure that these memories fill her with confidence and remind her that she can do anything!. Having a doula during birth releases tension for both mother and partner and allows the woman to find her most comfortable, natural and innate way of giving birth. Whether your birth plan includes an epidural in a hospital or an at-home water birth, I would love to support you in any way possible. I have had a lifelong commitment to health, movement and fitness. It started with a background in dance, dance therapy, and chi kung which blossomed into a passion for wellness and nutrition inspiring me to start a natural foods company. But my fascination with childbirth began with the births of my own two sons. I was fortunate enough to study Lamaze childbirth classes with Elisabeth Bing, a pioneer in childbirth education and a co-founder of Lamaze International. Since I was having a hospital birth she encouraged me to labor at home as long as possible, to keep moving, breathe, and above all to trust in my body and it’s exquisite wisdom. Giving birth to my two sons was an empowering and life altering experience which in turn gave birth to my interest in hearing the birth stories of other new mothers. I felt saddened when I would come across a woman who had been discouraged or worse frightened by giving birth. I knew it to be an exciting, fulfilling and precious time, a “peak” experience. My work as a doula has allowed me to bring my skills, passions and knowledge of the body to my work. I hope to encourage and instill in women trust in their bodies and their inner wisdom, while supporting and comforting them and their partners. Zina’s personal birthing experience began 26 years ago when she had her first daughter and then she went on to have seven more children. In 2006 she developed a passion for Massage Therapy and Doula work. She found herself on a healing path and decided to study Reiki and then became a Reiki Master. She has earned other certifications in Pre & Postnatal Yoga and Thai Massage. 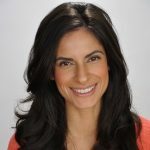 Zina enjoys being a Massage Therapy Instructor, and hosting workshops for women’s empowerment in New York and New Jersey. Zina’s passion is empowering women to find their inner voice. Helping women to define their personal practice with yoga, meditation, and using tools like essential oils are just a few ways that Zina supports prenatal and postnatal moms to gather and know their inner power to deliver their babies. She’s passionate about helping women to make informed decisions for themselves and their families. Zina believes there is a physical, emotional and spiritual experience that happens during the birthing journey for woman, and her goal is to help all moms and their babies find their special connection from inside the womb during the pregnancy and beyond. My name is Deborah and I am a french midwife who obtained a European Bachelor Degree in Midwifery in 2014. I had the opportunity to deliver 200 babies in France, Belgium, New York and Morocco. During some of the births I attended in other places, I felt uncomfortable seeing some laboring women give 100% of themselves and their bodies over to the medical side of things. As if there were no other ways to give birth and one had to rely solely on medicine. Back in 2014, I had an amazing experience when I went to a tiny isolated village in the heart Morocco to help nurses in a rural hospital. • How can I help a laboring mother become more autonomous? • How can birthing parents welcome their baby with serenity and in a very positive way? • How can we help birthing companions play a role in the birthing process? • How can I apply my convictions in my role as a doula? I found part of the answers in HypnoBirthing ® and I decided to dedicate my final year dissertation to that subject and to become certified as a HypnoBirthing ® childbirth educator. That is when I really started loving my work and delivering babies according to my beliefs, in harmony with my convictions. I would be glad to share moments with you future parents, helping you become more serene, calm and united before, during and after the birth of your child. I was drawn to birth work and reproductive health education through curiosity and intrigue. I could not have anticipated the beautiful and empowering nature of these fields. I expanded my practice to teaching HypnoBirthing® Childbirth Education after supporting my first HypnoBirth. It was then that I became wholeheartedly convinced of the power of the mind-body connection during pregnancy, childbirth and beyond. In 2017 I lived in Tel Aviv, Israel where I led The Fifth Vital Sign reproductive health workshops for people in various stages of their reproductive journey. I celebrate all family structures and reproductive choices and am honored to support people in my home city! Connie grew up on the West Coast of Canada, and from a young age was involved in caring for infants and children. Those early experiences stayed with her throughout her life, as she is known among family and friends as the “baby whisperer”. Connie first realized her doula calling when she attended the birth of her best friend’s son nearly 10 years ago. She was so moved and touched by the experience, but did not realize it was something she could pursue as a career. 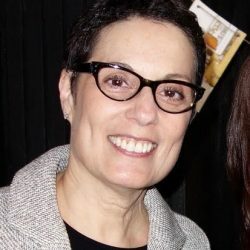 Spending the better part of the last 20 years in corporate America in the advertising industry, she’s worked with all types of personalities and is described by her team as a nurturer by nature: extremely patient and even keeled, an excellent collaborator and communicator. Connie applies these qualities to her doula work; her calming and confident nurturing nature help mothers and partners feel at ease during the birthing process. In addition, she builds a rapport with the rest of the birthing team while advocating for and ensuring the mothers wishes are honored and respected. Connie is passionate about helping and empowering women and families as they experience the miracle of pregnancy and birth and post-partum. 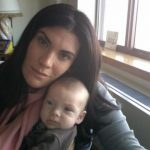 Ultimately Connie would like to work with and serve single moms who are embarking on the birth journey on their own either by choice or by circumstance. Connie is also a volunteer doula with the By My Side Birth Support Program and received her doula certification with DTI (Doula Trainings International). Connie lives on the Upper West Side with her husband and 10-year old daughter and her other “child” her rescue dog Finley. 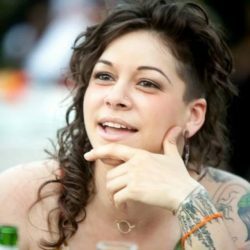 Jen began working as a Doula in 2006, shortly after she completed her training at The Swedish Institute to become a Massage Therapist. After participating inner first birth, she was hooked! Jen believes it is her calling to be a healer and a helper. Jen was born and raised in the East Village, and is a proud native New Yorker. Her strengths as a postpartum Doula include creating a tranquil, organized, mindful space for her clients and their families. She is also an excellent cook, and loves making food for her clients as they recover and adjust to life with a new baby. 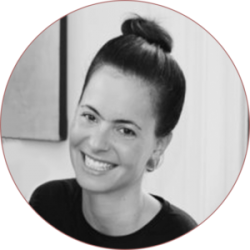 As a birth Doula, Jen provides calm, confident guidance, around-the-clock support, and — of course — massage. Jen is a human rights advocate, and is committed to eliminating barriers based on race, class, religion, and sexual orientation. She resides in Brooklyn with her wife, who is expecting her first baby in late February 2019. Jessie is deeply passionate about women & pregnant people, and supporting their empowerment through the birth & postpartum journey. When pregnant people are encouraged to stand in their power, communities are strengthened. You are embarking on one of the most transformative experiences life has to offer: creating, birthing, & nurturing life itself. As a full spectrum doula, Jessie will be there with you, holding space for the strength & vulnerability of your birth experience. She shows up for you, your baby, & family as you become a parent. 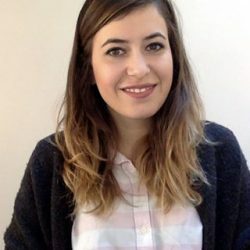 She has doula experience since 2014 and with that, Jessie is acutely aware of the needs and strengths of new families. She is a mentor & confidant, available to listen, answer questions, and provide valuable information and reassurance as you step into your own unique expression of parenthood. Erica have worked in women’s health for many years and have always been fascinated with pregnancy and birth. After many years as a childcare provider for newborns and infants, she made the change to become a doula. Her choice was solidified after the birth of her niece – seeing how amazing and powerful her sister was. She is elated to devote her time supporting and encouraging mothers and families as they prepare to welcome a new member to their family. She holds a Bachelors degree from the University of Maryland in Behavioral and Community Health. She is a Certified Birth Doula through DONA International, is a trained HypnoBirthing® Doula, and a certified Childbirth Educator. In addition, She is trained in VBAC, GBS, and baby wearing. 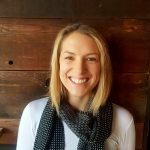 As a doula, she aims to guide you through labor and birth through providing a calm, supportive, and encouraging environment using comfort techniques, massage, encouraging words and mantras, and essential oils. Lené E. Warren is a Certified Holistic Doula. From the age of 9, her maternal gene came alive by babysitting her younger cousins. At the age of 14, Lené took a more active role in learning about obstetrics via the TLC show “A Baby’s Story”. Fast forward to 2013, where in college, she discovered her passion to become a midwife. The documentary “The Business of Being Born” was the spark Lené needed to become the Doula she is today. She believes birth is normal & should not be treated as a disease. Mothers need to be left alone unless medical intervention is necessary & her well-being is compromised. When she’s not advocating for maternal justice, attending births or taking trainings – Lené loves to read, take pictures & enjoys the NYC scenery. Having a vast curiosity for life, she welcomes every adventure with enthusiasm & excitement. And conquers all that she puts her mind to… including helping mothers (+ partners) have the best births they desire. Caren is the proud mother of three adult children and adoring grandma to two spectacular grand-kids. She was inspired to become a Birth Doula after supporting her daughter-in-law at her granddaughter’s birth. Now a dually Certified Birth Doula she is also trained in HypnoBirthing and Hypnobabies, as well as in Lactation Basics, Childhood Education (DONA, BirthMattersNYC, & Manhattan Birth Intensive), Whapio’s Practical Birth Wisdom, Spinning Babies, Evidence Based Birth, Comfort Touch for Birth, and Gena Kirby’s Rebozo Skills. She volunteers at NYU Winthrop Hospital as well as the Institute for Family Health as a Community Doula for women who would otherwise not be able to afford one. Bailey Rollins has served as a labor and postpartum doula for 6 years, after a 10-year career as an early childhood development specialist and educator. Over the years, Bailey developed a strong reverence and understanding of the importance of pregnancy, childbirth and the early postpartum period and the impact it has on future learning and success. With a sincere passion for helping babies come into the world as gently and easily as possible, Bailey is committed to being an advocate, guide and support for parents throughout the stages of parenthood. Bailey has a Masters Degree from Bank Street College of Education in Infancy and Family Development/Early Childhood Education and a Bachelors of Arts Degree in Spanish and French from the University of Maryland College Park. She completed her labor and postpartum doula training with Ancient Doula Songs and is also a certified HypnoBirthing® teacher, and Khalsa Way Prenatal Yoga teacher. Bailey is so grateful to serve women and their partners in this capacity, helping to welcome their babies safely and joyfully into the world! It is her core belief that all women deserve to have satisfying and empowering birth experiences and all babies deserve to be born gently and with love. In pregnancy, Bailey supports you in preparing for childbirth to achieve your unique pregnancy goals and birth vision. In labor, she will help you and your partner stay calm and relaxed throughout, using pain relieving techniques such as varying positions, massage, breath work, visualization, the Rebozo technique, acupressure, aromatherapy, HypnoBirthing® and good old fashion emotional support. Bailey also assists you in advocating for your birth preferences and making informed decisions that work for you and your care provider. During the postpartum period, Bailey will ease the transition of bringing home a newborn with positive guidance and reassurance using evidenced based infant care. She is grateful to help with newborn soothing, sleep, breastfeeding and creating healthy routines. Bailey also nurtures new moms and assists in both emotional and physical recovery. 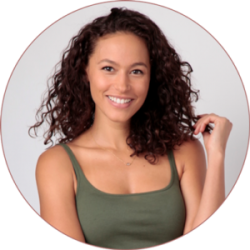 She enjoys preparing nutritious postpartum meals, caring for your baby while you sleep and sharing holistic healing practices such as belly and waist binding, healing baths, perineum support and pelvic realignment techniques. I am a Birth and Postpartum Doula certified through Doula Trainings International and a Certified Lactation Counselor through the Academy of Lactation Policy and Practice. I specialize in postpartum work, offering practical assistance in breastfeeding and newborn care to guide the families I work with through a gentle transition into parenthood. In my doula practice, I am calm and compassionate. I advocate for all my clients and strive to assist them to achieve their best birth. I’m certified in HypnoBirthing™ and I am currently studying to become a Lamaze Childbirth Educator. I’m a born and bred New Yorker, easy to talk to and fantastic with expecting parents, new parents, newborns, and children of all ages. I am a self-proclaimed “birth nerd”. I often attend new workshops and trainings to continue my education to support the families I work with. When I’m not doing birth work I’m acting in short comedic videos or doing improv with my queer improv group. Danielle discovered postpartum doula work two years after the birth of her daughter. Although she considered herself well educated and empowered throughout her pregnancy and birth, she felt that culturally there was a lack of information about the challenges that may present in the “fourth trimester” of physical and emotional healing post-birth. Realizing this type of support was exactly what she needed during her own postpartum period, she changed career paths to honor this vulnerable space for other new mothers and families. 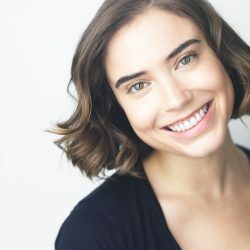 As a Postpartum Doula, Danielle is passionate about helping parents navigate the first few weeks and months of their journey while providing warm and empathetic care, along with offering evidence-based information, all with a sense of humor! Her genuine hope is that every new family feel empowered to ask for and receive the support that they deserve. 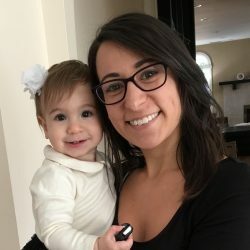 Danielle trained with Doulas of North America (DONA) and subsequently obtained certification as a Lactation Counselor (CLC) through the Healthy Children’s Project. She is also certified in Infant and Child CPR.